Matthew 17:21 tells us that there are some spirits in a person, region, or nation that cannot be overcome without fasting. Many believers struggle with certain limitations that they cannot seem to break through. A revelation of the power of fasting will result in victories that would not be ordinarily obtained. A life of consistent fasting will cause many victories to manifest. God s will is for every believer to live a life of victory with nothing being impossible. There is freedom from the torment of the enemy! Best-selling author and trusted teacher on deliverance, John Eckhardt reveals strongholds that can be broken including poverty, sickness, witchcraft, sexual impurity, pride, fear, confusion, and marital problems. Fasting will help readers to overcome these manifestations of oppression and break free from their limitations." 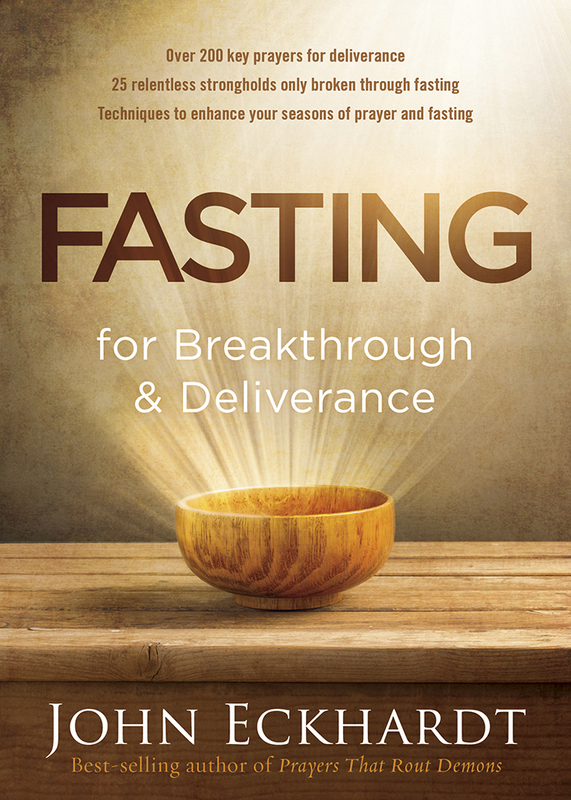 Fasting for Breakthrough and Deliverance by John Eckhardt was published by Creation House in May 2016 and is our 8225th best seller. The ISBN for Fasting for Breakthrough and Deliverance is 9781629986463. 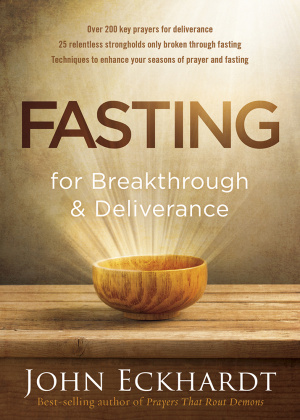 Be the first to review Fasting for Breakthrough and Deliverance! Got a question? No problem! Just click here to ask us about Fasting for Breakthrough and Deliverance.